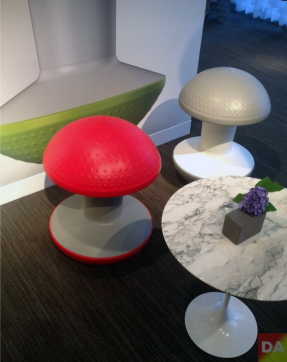 DesignApplause | ballo by don chadwick for humanscale. 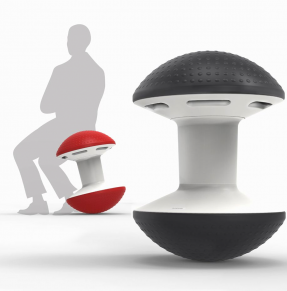 Created by Don Chadwick, designer of the Aeron Chair, Ballo is a multipurpose stool that encourages users to engage in short-term, active sitting. The identical air-filled domes serve as the base and seat and pressure can be varied just like a Swiss exercise ball. Ballo helps to reduce the risks associated with sedentary behavior and improve metabolism, calorie burn and core strength. There’s also an adjustable height option.